We at Floors Direct have been in business for 25 years! No project is too big or too small for us to complete! We look forward to giving you a world class customer service experience from initial phone call through to the completion of your finished project. We bring the samples and buying experience to the comfort and convenience of your home or office. Give us a call today to set up a visit from our owner to view beautiful flooring options for your home or office! Mountain Top Landscaping was established to help provide a cost effective way to landscape your home or business. Our services start with a professional design and continue the completed installation. Whether you want an entertaining garden area, a fish pond, privacy, or simply curbside appeal, we can provide you with the setting you desire. Our designs can be completely installed at once or can be implemented in stages to spread out the cost over time. Either way, your new landscape will be one that friends and neighbors will notice and envy because it has been professionally designed and installed. Our designs are unique because we work with you the customer designing your landscape to fit your dreams. We listen to what you like and then make suggestions accordingly. Maintaining your landscape can be difficult in today's fast paced world. Our staff is professionally trained, from mulching beds, to designing unique outdoor entertaining areas. Mountain Top's designers will work with you to help you get the most out of your home investment. If you want to increase the value of your home, have a relaxing and entertaining retreat in your yard, or make your business stand out, contact Mountain Top Landscaping today for your free estimate. Mountain Top Landscaping is a full service landscaping and maintenance company established in 1989. We provide a full line of services ranging from landscape design and installation, lawn sprinkler system, drainage design & installation, lawn sodding & seeding, waterfalls & reflecting pools, entry ways, outdoor kitchens, brick & flagstone paver walks, patios & sun decks, and gazebos. During the winter months we offer snow plowing and snow removal along with remodeling & carpentry work. Mountain Top Landscaping was established to help provide a cost effective way to landscape your home or business. Our services start with a professional design and continue the completed installation. Pat Valentine Ziv has been realizing your architectural and interior solutions for over 30 years. Pat’s in depth knowledge of buildings and their systems is credited with her architectural training. Her vast design experience spans residential, corporate, educational and healthcare projects. Pat’s commitment is to provide the best design solutions customized to your design needs. Her emphasis is on function and aesthetics. Her established relationships with contractors, suppliers and sales people give PVZ Design, LLC an additional edge in optimizing the implementation of your design plan. Call on PVZ Design to enhance your lifestyle with high end Interior design to meet your needs. Commission unique furniture pieces for your space. Consult with Pat for assistance with new construction or renovation projects. But before you start sending out dozens of emails and making phone calls, sit down and think about your project. What's your budget? What is the scope of your project? Will you need more than one type of professional to complete your home improvement project in Hackettstown, NJ? Can you afford to complete the full project now, or should you tackle it bit by bit? 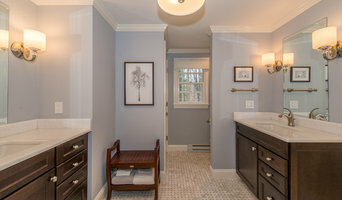 Once you've settled on your project’s priorities, budget and scope, it's time to start researching Hackettstown, NJ home design professionals. Don't sell yourself short and settle on the first professional you set your sights on. Make sure that you're working with someone local, who can get to the jobsite easily and efficiently. Look into the person’s reviews, ask to speak with former clients and to see previous jobs in person. Take a good look at their portfolio photos: How similar are these projects to your own? Be honest — that mansion might look beautiful, but it might not have a lot in common with your little bungalow. Reach out to multiple professionals — especially for larger projects — and don't settle for the first bid you hear. Comparing multiple Hackettstown, NJ professionals' bids and experiences can help you find the one that’s best for you. Ask a lot of questions now, so you won't have unexpected answers later. Find a home design professional on Houzz. Narrow down your search by type of professional and location. 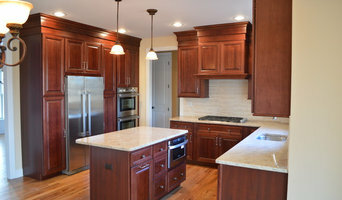 Browse Hackettstown, NJ portfolio photos, read client reviews and contact each Hackettstown, NJ professional for more information. Check out the information in the specialized professional sections too for tips on how to hire the right professional for your project.